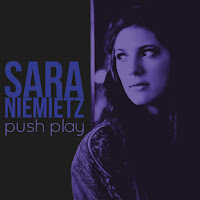 Singer Sara Niemietz joins Pods o' Pop host, Tracy Thibodeaux, to discuss her body of work that includes acting and singing on stage and television, three CD's, duets with BJ Thomas and Richard Marx, collaborating with W. G. "Snuffy" Walden, and a busy club schedule. Songs include "Hooked On A Feeling" w/ BJ Thomas, "Fields of Gold" w Snuffy Walden, "Rooftops", "Go To Bed", "Evening", and "Dangerous Outside". On March 29, 1997, a 4-year-old girl named Sara Niemietz joined B.J. Thomas on stage. 17 years later, they would reunite on the Grand Ole Opry stage.